"This Market Is Crazy": Hedge Fund Returns Hundreds Of Millions To Clients Citing Imminent "Calamity"
While hardly a novel claim - in the past many have warned that Australia's housing and stock market are massive asset bubbles (which local banks were have been forced to deny as their fates are closely intertwined with asset prices even as the RBA is increasingly worried) - so far few if any have gone the distance of putting their money where their mouth was. That changed, when Australian asset manager Altair Asset Management made the extraordinary decision to liquidate its Australian shares funds and return "hundreds of millions" of dollars to its clients according to the Sydney Morning Herald, citing an impending property market "calamity" and the "overvalued and dangerous time in this cycle". "Giving up management and performance fees and handing back cash from investments managed by us is a seminal decision, however preserving client's assets is what all fund managers should put before their own interests," Philip Parker, who serves as Altair's chairman and chief investment officer, said in a statement on Monday quoted by the SMH. The 30-year investing veteran said that on May 15 he had advised Altair clients that he planned to "sell all the underlying shares in the Altair unit trusts and to then hand back the cash to those same managed fund investors." Parker also said he had "disbanded the team for time being", including his investment committee comprising of several prominent bears such as former Morgan Stanley chief economist and noted bear Gerard Minack and former UBS economist Stephen Roberts. Hitting record high after record high, tech companies have displaced traditional blue chip companies like Exxon Mobil and Walmart as the most valuable companies in the world. Despite all being at the top of the stock market food chain, Visual Capitalist's Jeff Desjardins points out that the companies are at very different stages. The highly-anticipated OPEC meeting is taking place this week, but unlike the last few meetings, the hype and excitement is much less palpable. That is largely because the end result is thought to be a foregone conclusion. Last week, Saudi Arabia and Russia telegraphed the events of the May 25 meeting, announcing support for a nine-month extension of the existing production cuts – 1.2 million barrels per day (mb/d) from OPEC plus 558,000 barrels per day (bpd) from a group of non-OPEC countries. With the two most important oil producers in agreement, the meeting should be quick and easy. But if we have learned anything from the OPEC meetings over the last several years, it is that nothing should be taken for granted. Time and again the cartel seems to surprise the markets. Saudi Arabia’s energy minister hinted over the weekend that the OPEC meeting could have more drama than many analysts currently expect. "Everybody I talked to... expressed support and enthusiasm to join in this direction, but of course it doesn’t preempt any creative suggestions that may come about," Saudi energy minister Khalid al-Falih said at a news conference in Riyadh. Used car values determine in large the velocity of new car sales. Most new car transactions involve a trade. The level of equity in the trade oftentimes determines whether a new vehicle transaction will be successful or not. Inclining used car values lead to faster trade cycles while declining used car values lead to slower trade cycles. Dismal new car sales volume during our last recession created a shortage of used cars. This created a large supply and demand imbalance that made used car values soar from 2009 till 2014 as seen on this chart. This time period was extremely favorable for new car sales because consumers found themselves in an equitable position on their vehicles in a very short period of time. To illustrate this, consider this chart of a 60-month loan. The black line represents the principal balance owed. An optimal trade cycle occurs when the principal balance owed on a loan intersects with the market value of the vehicle. The bullish used car cycle for passenger cars ended in 2014 as a result of extreme pricing pressure from new car leases. Since 2014, used passenger car values have corrected and continue to underperform. This underperformance is largely due to the effects that falling used car values have had on new car sales velocity. A longer trade cycle results in a slower velocity of new car sales. Today, we’ve seen data suggesting that used car values can drop as much as 50% from current levels. Refer to the above loan chart and consider what a drop that large would mean for new car sales velocity in terms of trade cycles. Used car values also determine the effectiveness of leasing. The most significant component of a lease is the gap between the residual value and the sale price of the vehicle. A residual value is little more than a guess at the future value of a vehicle. Manufacturers and third party companies like ALG use current and historic used car value data to establish residuals. Because of this process, residual values tend to lag used car values. As residuals rise, the gap between the residual value and the sales price gets smaller leading to lower payments. As residuals fall, the gap becomes larger leading to higher payments. Less than a month ago a handful of the world’s policy makers gathered in Washington at the International Monetary Fund (IMF), no surprising headlines were run - but an obscure meeting and a discreet report launched exclusive signals for the next global economic crisis. The panel, which included five of the most elite global bankers, was held during the IMF’s spring meetings to discuss the special drawing rights (SDR) 50th anniversary. On the surface the panel was a snoozefest, but reading beyond the jargon offers critical takeaways. No honest person could accuse me of being a Trump fan or supporter. I refused to back his candidacy despite my total disdain for Hillary Clinton and pretty much everything she stands for. More importantly, I’ve written a multitude of articles since he was inaugurated severely taking him to task on a wide variety of subjects. I’ve tirelessly discussed how he’s outsourced his economic policy to Goldman Sachs, and condemned his burgeoning neocon foreign policy, evidenced by his disturbing coziness with the autocratic barbarians of Saudi Arabia. Nevertheless, the most incredible aspect of the past four months is not how much of a fake populist Trump’s proven to be, but how the corporate media’s managed to disgust me even more. I’m happy to become outraged at Trump, because I find many things about Trump outrageous. That said, I find it telling that the stuff about Trump that outrages me, is never the same stuff which outrages the corporate media. Why is that? The reason is the corporate media doesn’t mind Goldman Sachs running U.S. economic policy. It also doesn’t mind a close alliance with the terrorist state of Saudi Arabia, or our government’s endless string of disastrous neocon wars abroad. In fact, when it comes to the latter, the corporate media is reliably the primary cheerleader for unprovoked militarism. Following the election of Trump, an axis of evil in U.S. politics has formed consisting of the corporate media, neoliberal Democrats (Hillary cultists) and neocons. This alliance has one primary objective, which revolves around obsessing incessantly on a conspiracy theory that deflects attention away from the crimes of our very own domestic plutocrats, war mongers and rent-seekers (you know, the forces that are actually wrecking the country). Russia is the perfect outside enemy to rally ignorant rubes around in order to prevent any real progressive or centrist populism from ever gaining a foothold in U.S. politics. Unfortunately, thanks to the gullibility of the average American, their plan seems to be succeeding. ... and make way for Morgan Stanley's ARIA, a monthly US macro indicator based on data collected through primary research on key US sectors (consumer, autos, housing, employment, and business investment). The reason why this particular index will likely feature prominently in financial commentary in the coming days and weeks, is that as Morgan Stanley's chief economist Ellen Zentner writes, "ARIA appears to have fallen off a cliff in April, with a 0.72% decline, the largest since December 2008." 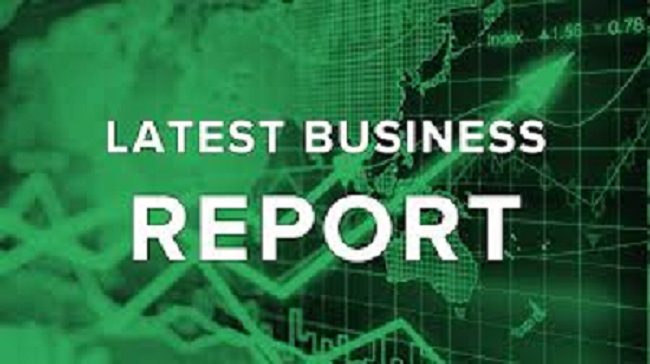 As Zentner expains, weakness was led by sharp declines in the investment and housing components, although even as the bank's data on business and residential investment was weaker, the consumer, employment, and autos components posted modest to moderate gains in April. What was the main driver for the collapse: "Business formations were this month's biggest drag, as they looked to have reversed an earlier post-election surge. If not for that, ARIA would have come in slightly positive in April at +0.13%." There are two things in which Elon Musk is an undisputed champion: creating hype and buzz for massively cash-flow burning products and companies, and abusing every possible loophole in the US tax code to get explicit and implicit subsidies from the government. He demonstrated the latter on Wednesday, when Tesla began taking orders for its solar roof tiles, a cornerstone strategy of Elon Musk's strategy to sell a "green", fossil-fuel-free lifestyle under the brand name of its luxury electric vehicles. First the bad news: Tesla said the product, which generates solar energy without the need for traditional rooftop panels - assuming one lives in a traditionally sunny climate - will be substantially pricier than a conventional roof but don't worry, it will "look better" and ultimately pay for itself through reduced electricity costs... it just may take 20 or more years for the payback period to occur (more on the math below). Made with tempered glass, Tesla assures that "Solar Roof tiles are more than three times stronger than standard roofing tiles" and is why the company offers the "best warranty in the industry - the lifetime of your house, or infinity, whichever comes first." There is just one problem: most Americans live in their house less than a decade before they end up selling it and moving to a different roof, which means that the vast majority of Americans who end up buying the new Tesla product offering will have moved out of their home long before the investment pays back for itself. The solar roof tiles were unveiled in October as Musk sought to convince shareholders of the benefits of combining his electric vehicle maker with SolarCity, the solar installer run by his cousins. Tesla acquired SolarCity in November, and has been working to remake a money-losing company that was selling traditional solar systems into a premium energy brand. To date, other companies have had little market success with attempts to incorporate solar technology directly into roof tiles. It remains unclear whether the products will appeal to consumers as much as Tesla's electric vehicles do. Stockman On The Coming Fiscal Bloodbath: "Sell Stocks, Sell Bonds, Buy Gold"
David Stockman joined Greg Hunter of USA Watchdog to discuss what he views as a fiscal bloodbath and the biggest bond market bubble to ever hit the global economy. Robert Shiller, in a discussion paper earlier this year, laid out the argument for economists paying closer attention to the "narratives" surrounding economics. To Shiller, popular narratives drive more of the fundamental economic outcomes than economists are typically willing to admit. For example (one provided by Shiller), the 1921 recession following the end of World War I was, in part, driven by narrative. In contrast to the typical explanation of why it occurred (a central banker went on a long vacation), there are more fundamental reasons for the downturn, including a 50% increase in the price of oil (with wide-spread fear that oil production would peak in a few years) and-probably the most important-deflation expectations. Because consumers believed that prices would fall, they held back from making purchases. This was the era of the "profiteer", the word used to describe price gouging. Thrift became a virtue, and there were calls to avoid buying anything other than the essentials. Consumer spending plummetted, leading Shiller to describe the recession as a "consumer boycott" lead by narrative, not by a traditional business cycle. While the example above is buried deep in history, there is applicability to the present. Specifically, the rise in central bank communications. There have never been more speeches given by representatives of central banks than today. In a recent speech given by the Chief Economist of the Bank of England Andrew Haldane, he calls for less complex and more accessible communication of monetary policy. Ostensibly, this is to increase transparency and trust with the public and describe their actions and intentions to markets.